Beautiful to behold and sacred throughout time, flowers hold powerful nature magick, entwined with the rhythms of the Earth. Work with flowers to create your own powerful and divine spells for the change, support, and inspiration you seek in life, love, and happiness. 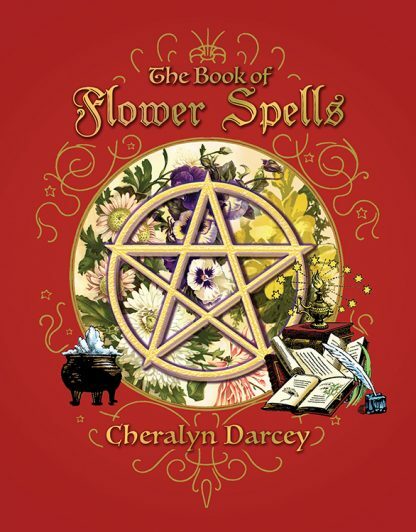 Along with 60 sacred flower spells from Cheralyn Darcey�s personal nature grimoire, The Book of Flower Spells includes spell-casting and spell-crafting basics, information on magical gardening and supply sourcing, and dedicated lessons on how to write and cast your own spells. To complete your treasury of flower nature magick, a beautifully illustrated personal grimoire journal section is provided as a place for you to keep your flower spells.